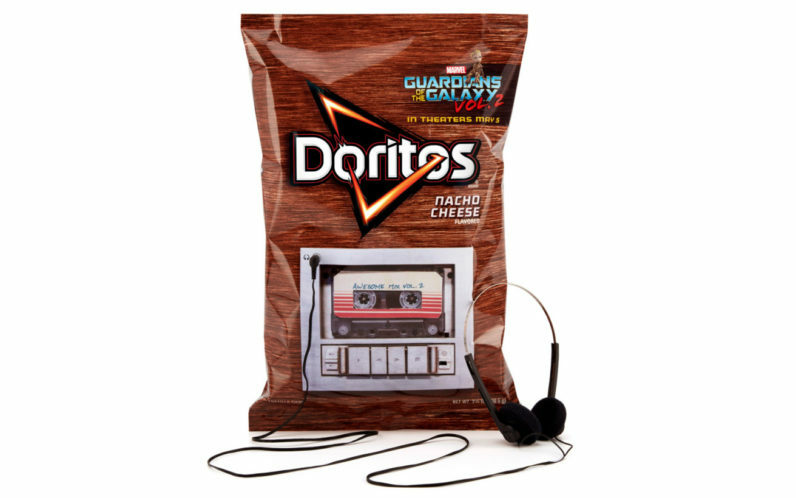 Doritos and Marvel are bringing music and Doritos together in the same bag — which I’m not sure anyone was asking for. The company is making a special bag for it’s nacho cheese chips, to be released in a couple of days. The bag has a full cassette player (or, perhaps a player that looks a tape deck, the pics make it hard to tell) built into it. All you have to do is plug your earbuds into it and you’ll be able to listen to the tape. And not just any tape: it’s the Awesome Mix Vol 2 from Guardians of the Galaxy Vol 2. If you’ve been living under a rock and haven’t seen the tracklisting yet, it includes Fleetwood Mac, George Harrison, Sam Cooke, and David Hasselhoff. I can actually imagine lots of better ways, Frito-Lay. It looks like a cool gimmick, and I’d be curious to see how the thing actually plays (and how much it costs), but I can’t see myself rushing to get this when it inevitably appears on eBay. Personally, I’d say the breathalyzer Tostitos bag Napier tested a few months ago was marginally more useful than this — well, useful in the sense that it was able to determine Napier’s Listerine breath was as pure as driven snow in the Garden of Eden. And in the sense that I can listen to the soundtrack via any music player on my phone, and probably in better quality, any time I want. The Doritos cassette bag will be available on Doritos’ Amazon page on April 28. If you want to hear the songs in their original environment, Guardians of the Galaxy Vol 2 releases on May 5.